We were taught in chemstry class that sodium chloride and potassium chloride basically behave the same chemically. Tonight I put that theory to the test by seasoning my popcorn with potassium chloride instead of sodium chloride (table salt) like you get at the movie theatre. My logic, was that sodium is bad for you and potassium is good for you. 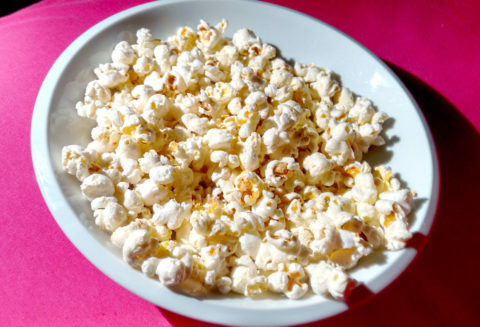 So instead of eating my brocolli and bannanas, I wanted to stuff my face with salty popcorn instead. This little experiment did not go so well. It looks soooo good, yet tastes soooo bad. I feel like I’m eating popcorn laced with some sort of toxin. I guess I need to eat bannanas and broccoli after all 😛 Poop. This is a hilarious idea. Better luck next time! Huh? It’s just potassium chloride. It’s not poisonous in normal doses.